With a scoreless first quarter—and nearly score-free next three—the commercials really stole the show during this year’s Super Bowl compared to previous year (and for the sake of the brands that bought in we would sure hope so, given that ad costs hit a record-high $5.25 million for a 30-second commercial!). In fact, according to a survey by Qualtrics, 20% of Super Bowl viewers state that they only watch the big game for the ads, and 91% (!) of viewers only see the commercials during the game, rather than catching them online before or after. We’ve all heard them: tired, lazy tropes portraying fresh produce as tasteless, boring, or flat-out unappetizing. The Korean car-maker’s commercial used an imaginary elevator that opened to different levels of what they considered to be universally unpleasant experiences as a way to showcase their car-buying experience as pleasant—and thus unfit for the quite unfortunate elevator ride from the ad. As the elevator went up, Hyundai worked to establish a sense of empathy and understanding based on the portrayal of relatable, unwelcome, and sometimes unavoidable experiences ranging from jury duty to six-hour flights featuring ill strangers in close proximity. The snub to produce happened on the “vegan dinner party” level, where an eager party host presented a purple, gelatinous concoction christened vegan meatloaf (Sergio’s specialty!) to an unlucky elevator rider. Hyundai wasn’t the only brand that engaged in unprovoked fresh-shaming. In the Planters commercial, Mr. Peanut dove in to rescue a horrified Alex Rodriguez from…eating kale chip? Yes, much to A-Rod’s relief, his kale chips are swapped out for Planters (and right in the nick of time: because Heaven forbid anyone be subjected to kale!). As fresh produce professionals, it’s important that we acknowledge the messaging in this commercial on two levels. First, competition is fierce in the healthy snacking space, and Planters wants to establish itself as *the* healthy snack. Secondly, the fact that Planters acknowledges kale as direct competition is a compliment to the hard work fresh produce marketers have done to position our products as a viable, desirable, and worthwhile snacking choice. As fresh marketers, let’s accept the presented challenge and encourage Planters to consider how kale and nuts can be enjoyed together, for the ultimate greens + protein duo. 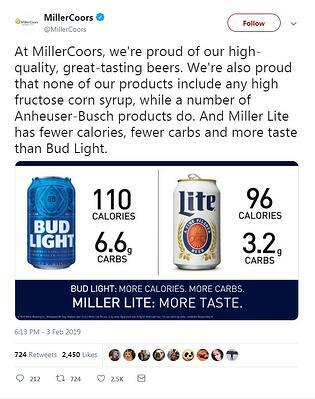 Although this last item on our list of snubs does not concern a fresh produce product specifically, it is directly relevant to the industry—and let's be real, we couldn’t leave the Bud Light corn syrup debacle out of our recap! The NCGA tweet was both concise and timely while publicly reaching out with an olive branch of sorts, a wise move from a PR perspective. This is one example of how fresh produce marketers can use our voice to amplify and defend our brands, our products, and our narratives. Marketing is the mouthpiece of our industry, the entity that provides us with the power to have a say in the stories that are being told about us and our niche. We can—and should—elevate what we know to be true: fresh is tasty AND good for you, your budget, your family, and your community. It’s our job to prevent those truths from being drowned out by misinformation and ill-informed marketing. We’ve seen the growing importance shoppers place on a company’s willingness to practice sustainability in the produce industry, and that trend holds for other consumer-facing brands and products. Budweiser announced its beer is now brewed with wind power “for a better tomorrow,” elevating the brand’s focus on sustainability. Marketers in the produce industry can learn from this: if your company is investing in technology to become more sustainable, your company should also be investing in marketing to elevate that change! This brand’s feel-good advertisement positioned its product as a solution to help include children with disabilities in the connective world of video gaming. The tagline “When everybody plays, we all win,” communicated a uniting message during the game and during a time when our general cultural climate is quite divided. We in the produce industry can learn from this by elevating the way our products unite people every day. We also can glean this from Microsoft’s strategy: focus less on the product...and more on the solutions, more on the good you are providing in people’s everyday lives. The dating app’s commercial was targeted to women, a demographic typically overlooked by Super Bowl advertisers despite the facts that 1.) women made up 49% of last year’s Super Bowl viewers and 2.) “every aspect of the broadcast is holding women’s attention much better than that of men,” according to data from TVision Insights. Bumble partnered with Serena Williams--capitalizing on her influence as an empowered, inspiring, and successful female athlete--to communicate a message centered around empowering women to take the future into their own hands. As marketing professionals, we’re in complete agreement with Bumble: choosing the right influencer is essential to a successful influencer marketing strategy. The app is all about putting power in women’s hands, and Bumble wisely selected an influencer who has done so in seemingly every aspect of her life. As fresh produce marketers, we must be strategic partnering with influencers that align with our messaging and reach our target audiences. The marketing world is changing, and brands know it. While advertising during the Super Bowl used to be considered the peak of brand marketing, in today’s fast-paced, over-saturated media market, 30 seconds on tv means much less when there are 2,036,340 GB of internet traffic during the same amount of time—every day. Brands have had to rework their Super Bowl strategies to ensure viral internet success if they do fork over the MILLIONS of dollars required to advertise during the big game. Or, as many larger brands did this year, chose to not advertise at all...or instead opted to completely thwart all traditional marketing tactics by launching an anti-marketing musical. For brands like Skittles that sell their most volume leading up to the big event, trying something completely different—even disruptive—in the marketing space makes more sense for ad dollars, especially when they find a way to make mocking their own ad industry on-brand. Super Bowl strategy is not only no longer relegated to game-time spotlights: brands also can choose to forgo ad spots entirely, like Chrysler did with its alternative social media campaign. The fact that both of these marketing giants chose to take unconventional approaches speaks to the changing marketing landscape, the ever-growing power of social media, and the recognition that even “tuned-in” audiences’ often have divided attention. 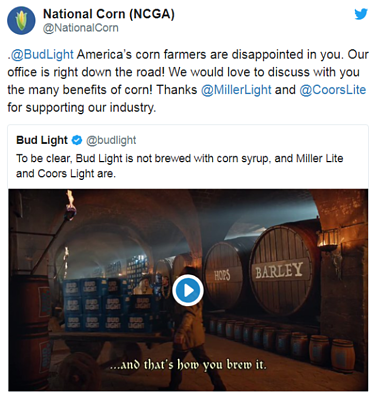 For fresh produce marketers, the takeaway here is that you don’t HAVE to spend $5+ million in order to be relevant and generate engagement during the Super Bowl. Notice any pertinent Super Bowl ad trends we left off our list? Leave a comment below, or tweet to us at @TheCoreBlog!